Sending group emails can sometimes be more hassle than it’s worth, especially if you are new to the practice. If you have been manually selecting contacts every time you send out an email to several of your colleagues, stop right now. GroupMail makes sending group emails in Outlook simple and takes away a lot of the hassle. There are several different ways of sending group emails in Outlook with GroupMail depending on what edition you are using. The first step for any edition involves managing your address book and creating contact groups. In the Personal Edition you can do this within Outlook and then export your contacts from a csv file and import them to GroupMail. Or you can create groups from scratch in GroupMail and manually add your contacts. With the GroupMail Business Edition, it couldn’t be made simpler. This edition means less list maintenance, and more sophisticated features such as the ability to send personalised individual emails to one group. To help get you started with sending group messages, we have put together four simple steps for sending a group email with GroupMail Business Edition. Creating contact groups can be time consuming but it is time worth investing as, in the long run, it will free up more minutes whenever you need to send a group message. Everyone has to start somewhere and once you have your address book organised, and your groups set up, the process of sending group emails will be much smoother from here. You can find out more on Microsoft’s own site: Create and edit a Contact Group. Once you have installed or upgraded to GroupMail Business Edition, you can now link GroupMail to your Outlook Address Book. 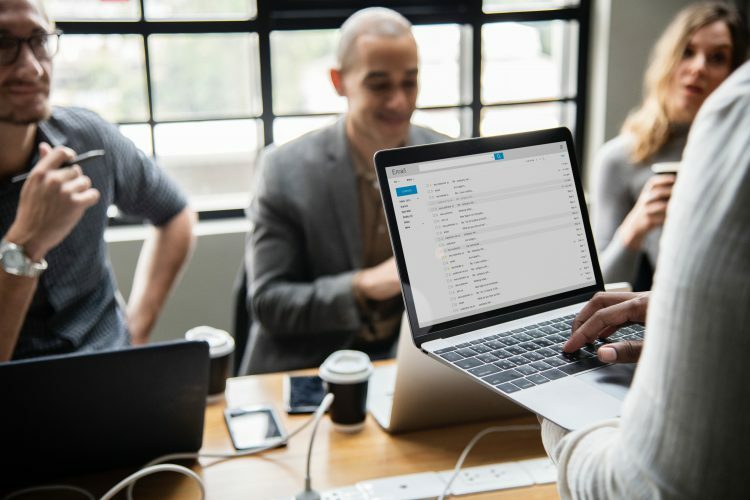 The benefit of doing this is that you won’t need to export your contacts from a csv file and import into GroupMail; you will only need to maintain one mailing list. Therefore, any changes you make to your Outlook address book will automatically sync with GroupMail. GroupMail’s Outlook Toolbar is exclusive to the GroupMail Business Edition. With the Outlook Toolbar you can launch GroupMail, create a new GroupMail message or forward a message to your GroupMail Group. To install the toolbar, close all programs then run the GroupMail installation. Select ‘Outlook Toolbar’ as the component you want to install. To continue with installation, click next. Open your Outlook once installation is complete, and you will notice the new GroupMail icons for the Toolbar show under ‘Add-Ins’. You can find out more about Using the GroupMail Outlook Toolbar here. Now that you have installed the GroupMail Outlook Toolbar, you can start creating fast, easy group messages under the Add-Ins in Outlook. Another great feature of the GroupMail Business Edition is that the Outlook Toolbar allows you add and delete recipients within your GroupMail groups from Outlook. As always, if you have any questions or need some help along the way with sending group emails, don’t hesitate to contact our technical support team. Or, you can check out our video tutorials, and every Wednesday at 3.30pm, our live webinars. You can download and try our free version of GroupMail here: download.